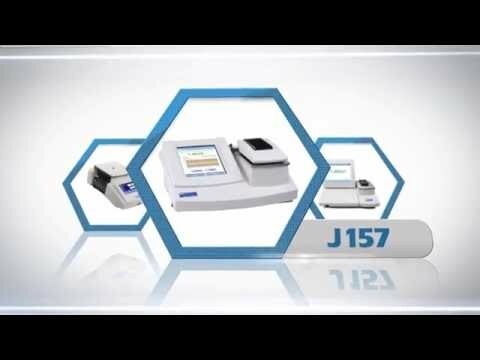 Refractometers with the features to meet the needs of today’s industries. Rudolph Research attends industry related trade shows across the globe. Find us at one near you to see our industry-leading Refractometer, Polarimeter, Saccharimeter and Density Meter instruments in action. The simplicity of touch screen measurement with the flexibility of Windows®. For the most demanding cGLP/GMP Laboratories. Your company is great to work with! You have excellent customer service. It is also nice to have the same contact people year after year. The instrument was updated in a timely manner and is working great! I wish that all of our suppliers strived to have the high quality customer service that Rudolph does. Thank you for the excellent service you’ve provided throughout ordering, installing and updating our DDM2911 Plus (Density Meter). Refractometer, Density Meter, Polarimeter, and Saccharimeter Instruments from Rudolph Research Analytical. The Rudolph Research Refractometer, Automatic Density Meter, Autopol Polarimeter, and Saccharimeter, products are used Globally by more than 8,000 customers, in over 80 countries around the world. Our instruments are utilized in the most demanding Pharmaceutical, Chemical, University, Petroleum, Sugar, Food, and Beverage Laboratories. We offer all our instruments with industry application specific accessories and automation options to ensure your sample measurement requirements are met, time is saved, and maximum accuracy is achieved. Our Product Managers and engineers have worked with difficult applications across a wide range of industries and we can help you select an instrument or system to meet your requirements. Quality, Integrity, and Innovation with a Global Reach for over 50 years is reflected in all aspects of our business, including instrument manufacturing, sales, and service support. We incorporate these principles into every Refractometer, Density Meter, Polarimeter, and Saccharimeter we manufacture. Thus, Rudolph Research has established itself as a premier analytical instrument manufacturer, well known for its quality, reliability and is NVLAP certified. Our Global Network of Business Partners allows us to serve Laboratory Customers anywhere in the world they choose to do business. Our Service department offers maintenance support, calibration services, and replacement parts for all our instruments. We support all our products for the life of the instrument with many instruments manufactured over 30 years ago, still in service today. Customers choose our Autopol line of Polarimeters, Saccharimeters and accessories, our J Series of Automatic Refractometers and our DDM 2900 Series of Density Meters for accuracy, reliability, durability, performance along with our commitment to superior technical and service support. Please read through our testimonials and request an instrument user list to learn why so many demanding laboratories have selected Rudolph Research.